In 2006, Jeff Raz started performing with Cirque du Soleil. He toured with Corteo until early 2008, playing the lead role of the Dead Clown and, then in the 2009/2010 season, he again toured with Corteo in Japan, performing his role in Japanese. He continues to work with Cirque du Soleil as a casting partner. Working with master trainer Lu Yi, Jeff established a clown training program in Nanjing, China and in 2009 they brought 6 clowns to the Wuqiao International Circus Festival and Jeff will be a keynote speaker at the Kaifeng International Clown Festival in 2018. 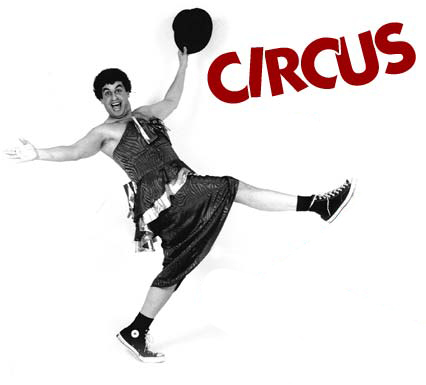 Jeff started working in circus and New Vaudeville in the mid-70’s, first with the small community troupe Everybody’s Family Circus and then a big tent show called J.P. Booker’s Early American Circus. He performed with the juggling/acrobatic quartet The Bay City Reds in 1978, who touring with Make*A*Circus in the summer. Make*A*Circus was one of the first companies in the New Circus movement to experiment with storylines; Jeff wrote, directed and performed for the company periodically for two decades. Everybody’s Family Circus and Make*A*Circus were also pioneers in what is now called ‘social circus’. In the early 80’s, Jeff co-founded the seminal New Vaudeville company, Vaudeville Nouveau and worked with them until 1990. Vaudeville Nouveau created 5 original shows that toured across the U.S. and Europe as well as performing with the Flying Karamazov Brothers and others in the legendary Broadway show Comedy of Errors, with Berkeley Repertory Theater, The Magic Theater and others. While working with Vaudeville Nouveau, Jeff founded and co-produced the San Francisco New Vaudeville Festival. In the 90’s, Jeff joined the Pickle Family Circus, partnering with Diane (Pino) Wasnak and training with acrobatic master Lu Yi. He toured the world with the Pickles and with a duet show “Pino and Razz” for 8 years. He also directed and produced shows with the Pickles and for numerous corporate and community events. Over the years, Jeff has also performed as a juggler, clown and acrobat with Song Circus, Bracebridge Dinner and hundreds of special events and benefits. In 2010, Jeff worked with Circus Flora out of St. Loius as the Associate Producer of their hit show “Ingenioso”. From 2004 – 2011, Jeff worked with his wife Sherry and a number of other Alameda parents to produce an annual show Circus for Arts in the Schools to raise funds for arts education.